Earn undergraduate credits or receive a graduate degree at Tel Aviv University (TAU) – a global premier university in a global premier city. Enroll for academic credit, for a degree, or simply for the experience of studying on the Mediterranean Coast. TAU hosts dozens of programs taught in English with students from across the world. Israel Outdoors alumni are eligible for a tuition credit! To redeem the discount, first enroll with Tel Aviv University through its TAU-International School and make sure to complete the form below. Once your enrollment is fully confirmed by Tel Aviv University, we will release your discount funds directly. Your discount request must be made within 30 days of your enrollment at Tel Aviv University. 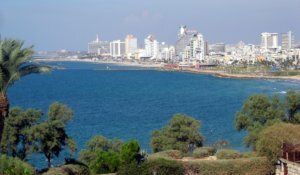 What programs at Tel Aviv University will you attend? Did you participate or apply to participate in a prior Taglit-Birthright Israel program with Israel Outdoors? If yes, approximately when did you participate or apply to participate?